Roseberry House Restoration is run by Katie Keat. 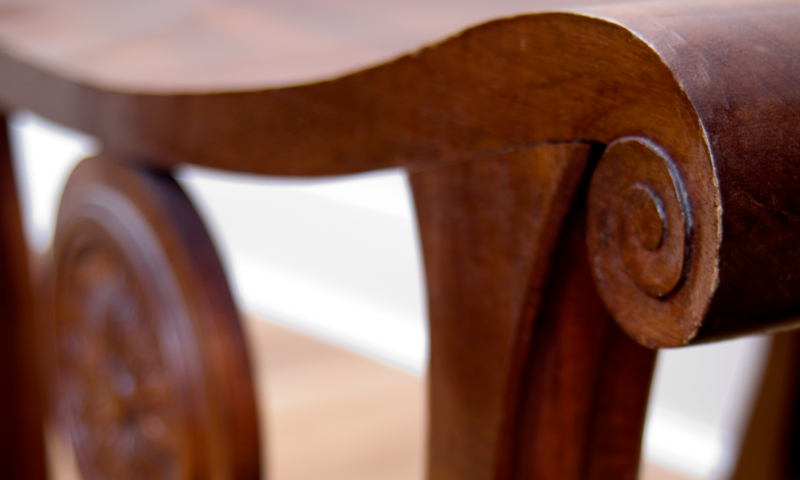 I have been repairing and restoring furniture for over 20 years and it is my passion. I believe that all pieces, regardless of monetary value, deserve the same attention to detail and work on both antique and modern classic furniture. I have carried out work for private members clubs, embassies and corporate clients as well as private individuals. You can see examples of some of the work I’ve undertaken in my portfolio. Based in Brixton in South London I can easily reach most areas in London and usually provide free estimates. Site work can be undertaken if required. Since my estimates are calculated on the basis of time and materials you will always pay a fair rate for the work. Please note that I do not provide valuations.